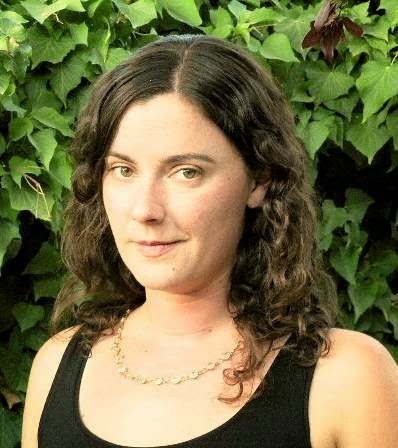 Ava Dellaira is a graduate of the Iowa Writers’ Workshop, where she was a Truman Capote Fellow. She grew up in Albuquerque, New Mexico, and received her undergraduate degree from the University of Chicago. She believes this book began when she bought her second album ever—Nivana’s In Utero—which she listened to on repeat while filling the pages of her journal. She currently lives in Santa Monica, California, where she works in the film industry and is writing her second novel. Write what matters to you, and be open to discovering it along the way. Be open to showing up at the page and finding out what’s there. Maybe there will be a lot of days where it feels like nothing. But eventually, you will stumble upon a line. A moment. A scene. And maybe many days later, another. First drafts always need work. Most of the time, 2nd and 3rd and 4th ones do, too. When I look back at the beginning stages of Love Letters, it doesn’t read like something that would necessarily turn into a novel. It wasn’t “good” right away. But it was something that I knew I would keep working on. Through all of our insecurities, it can be a challenge to find faith in what we are doing. But when you are writing something you feel you have to write, you’ll keep coming back no matter what. Know that when you speak, it matters. Keep speaking. Someone will hear you. That’s a hard one, because there are so many books that I adore! Beloved stories speak to our hearts in distinct ways at certain times, and I often feel that I’ve discovered a book at just the moment that I need it. Here are some that have meant a lot to me over the past few years: The Lovely Bones by Alice Sebold, This is How you Lose Her by Junot Diaz, Wild by Cheryl Strayed, Welcome to the Goon Squad by Jennifer Egan, The Year of Magical Thinking by Joan Didion, Housekeeping by Marilynne Robinson. Geoff Ryman wrote a gorgeous novel called Was and I am always eager to spread the word about it. It weaves together magical realism and historical fiction to tell three intersecting narratives surrounding the Wizard of Oz. I first read it in college, and the book awakened my interest in some of the themes that eventually inspired Love Letters. I am also a lover of poetry. A couple of my favorite books include: The Dream Songs by John Berryman, Elizabeth Bishop’s Collected Poems, and X by James Galvin, who was one of my teachers at the Iowa Writers’ Workshop. Where did you get the idea for Love Letters to the Dead? I had gotten a job working for Stephen Chbosky, the author of The Perks of Being a Wallflower, and after I mustered the courage to show him some of my writing, he suggested that I try writing a novel. 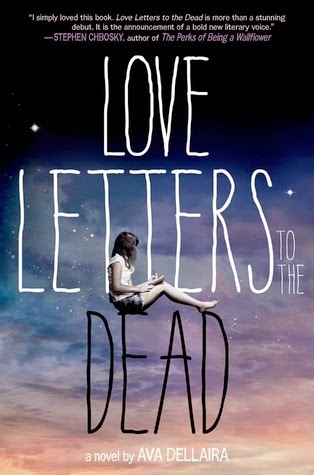 The title of the book – Love Letters to the Dead – popped into my head that same night as I was driving home from work, along with the concept of a girl who writes to famous dead people as a way of processing personal grief. I had been interested in popular culture for some time, especially the way that it can provide a sense of belonging for people who may feel otherwise isolated. I had lost my own mother a few years before I started writing Love Letters, and just as writing letters helps Laurel to process her grief over her sister, writing this book also helped me to heal. Did you hit any snags while writing Love Letters to the Dead? What were they and how did you fix them? Yes, many snags! I was lucky to have some wonderful readers, and then to have an amazing editor who helped me in identifying and reworking some weak spots in the narrative. One example of a change that came out of a suggestion from my editor is the time frame in which the book takes place. The story used to extend beyond Laurel’s first year of high school and into the following summer, whereas now it concludes at the end of Laurel’s school year. 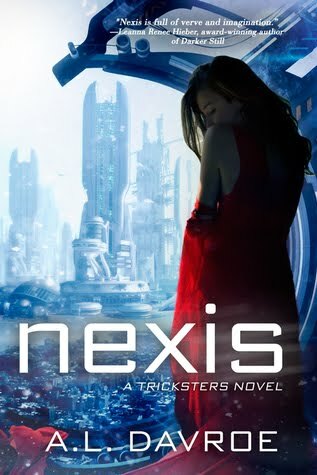 The last third of the book had felt a bit too meandering and protracted, and condensing the time frame helped me to create a more climactic ending. Which one of the characters in Love Letters to the Dead is your favorite and why? I truly love all of the characters in the book. I feel closest to Laurel—while the book is definitely a work of fiction, I drew upon some of my own memories and emotions in creating her character. Laurel’s friends Hannah and Tristan were two of my other favorite characters to write. They both jumped off the page quite vividly for me, and as I got to know them, they surprised me along the way. They each have their own struggles, but at the same time they offer insight and wisdom to Laurel. Laurel’s Aunt Amy, who is based on my own Aunt (who passed away when I was in middle school), is another one of my favorite characters. I’d wanted to be a writer ever since I was about 12 (and I have the stacks upon stacks of middle and high school journals to prove it! ), but I’d never actually imagined I would write a novel. I took creative writing classes in college and then went on to get my MFA in poetry from the Iowa Writers’ Workshop. After graduating from Iowa (and realizing I’d need to find a way to make a living) I moved to Los Angeles with screenwriting aspirations, which is when I had the good fortune to start working for Stephen Chbosky. After I got the idea for Love Letters, I began writing on the weekends and after work (often staying up way too late). It was never easy, but in some ways it came to me more naturally than any writing had before. It took me about a year to finish the very first draft. I then sent it to some friends and used their feedback to start editing. It was about another 9 months before I found my agent, Richard Florest. After I did some further rewriting, we eventually sold the book to my editor, Joy Peskin at FSG. And that’s when the hardest work began! Joy asked some incisive questions that lead me to face some of the most difficult parts of Laurel’s emotional journey, and also to make some “kill your darlings” kind of cuts. I finished the final draft about three years after I’d started it. I tend to stay pretty quiet about the things I am working on until I feel ready to let them out, but I will say that now that Love Letters is in the world, I am definitely getting excited about a second book! Would you ever leave film entirely for novels? For me, working in film and writing novels are wonderfully complimentary—I have learned things from each that informs the other. For example, my work in film, and especially in the editing room of the The Perks of Being a Wallflower, helped me a lot when I was in the early editing stages of Love Letters. I began to imagine how the book might work as a film, and that helped me to shape the story. So, I wouldn’t say never, but for now I feel happy and lucky to have the opportunity to work in both mediums. How much of your own relationship to your sister influenced Laurel and May in Love Letters to the Dead? I adore my younger sister and our bond was definitely a huge inspiration in writing Laurel and May’s. Our relationship influenced Laurel and May’s in specific ways – for example, the childhood fairy games that Laurel and May play in the book are similar to games that my sister and I played as kids—and also in the more abstract sense that I was able to draw upon the experience of having a sister to whom I am very close. What was it like staying in the same place as Kurt Vonnegut? Did you soak up some creative juice? It was amazing! I can’t say that I was able to absorb any of Vonnegut’s brilliance, but being in a place with such a rich writing history was truly inspiring. Overall the Iowa Writers’ Workshop was wonderful—I learned so much from my teachers and from the other students there that I have carried with me. Love Letters to the Dead: It begins as an assignment for English class: Write a letter to a dead person. Laurel chooses Kurt Cobain because her sister, May, loved him. And he died young, just like May did. Soon, Laurel has a notebook full of letters to people like Janis Joplin, Amy Winehouse, Amelia Earhart, Heath Ledger, and more; though she never gives a single one of them to her teacher. She writes about starting high school, navigating new friendships, falling in love for the first time, learning to live with her splintering family. And, finally, about the abuse she suffered while May was supposed to be looking out for her. Only then, once Laurel has written down the truth about what happened to herself, can she truly begin to accept what happened to May. And only when Laurel has begun to see her sister as the person she was; lovely and amazing and deeply flawed; can she begin to discover her own path.